There was a time when pepper was more valuable than gold, when horrendous sailing expeditions would be organized for clove and nutmeg, and when ancient civilizations would go to war for other exotic spices. Many were used as aphrodisiacs, therapeutic foods, and medicines. Sure, they improve the appeal of foods, but also stimulate salivation and promote digestion. Some aromatic spices have been proven to help with weight loss, and even have a solid reputation as a fat-burning tool. In fact, we all have a “grandma recipe” that we swear made us all feel better and made a nasty cold go away. My wife Carissa, a nurse practitioner, actually wrote an entire article on my favorite grandma healing soup. 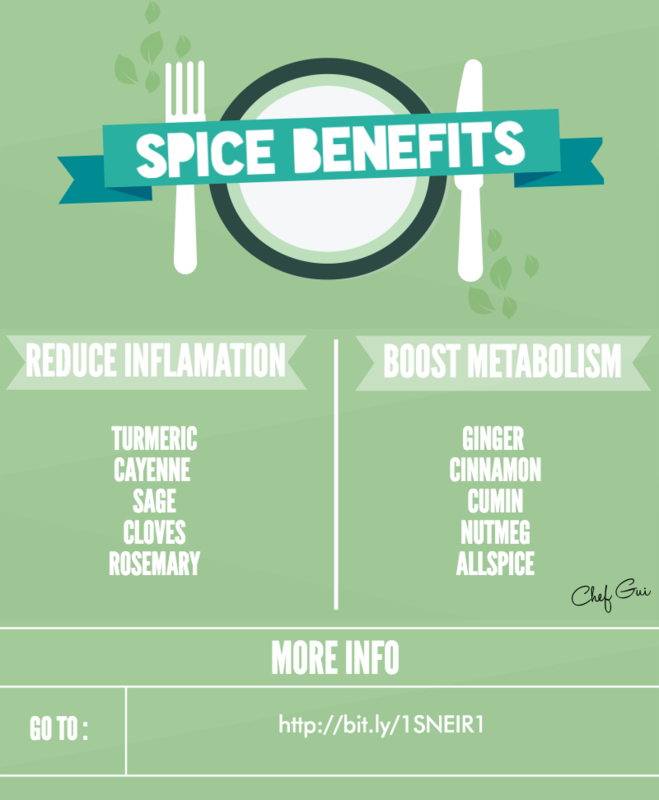 Some spices, like turmeric, cayenne, sage, cloves or rosemary, reduce inflammation. Turmeric can be used in curries and other dishes to give a Caribbean or Indian flair. It has been used as a medicine for centuries to treat wounds, infections, and cold. 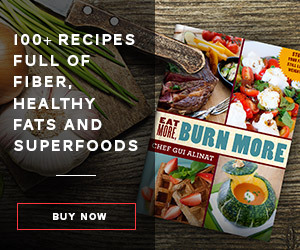 I use cayenne pepper often. Just add a pinch or two to any food preparation to kick it up a notch. Sage is derived from a Latin word, “salvere,” which means “to save.” Either dried or fresh, I use sage with pork, especially pork and apples. It’s excellent with navy beans, and with chicken and fish. Clove is a bit harder to use. I add one clove (no more; it’s powerful!) to a stew or a soup. It has analgesic properties. Have you ever rubbed a clove on your lips? You can feel the spot go slightly numb. Rosemary, like sage, contains flavorful oils that have medicinal properties. It grows wild in the South of France where I come from, and we use to simply cut some branches for cooking. 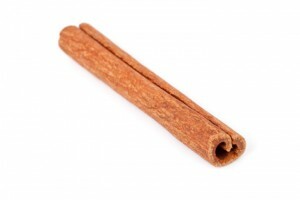 Some other spices, like ginger, cinnamon, cumin, nutmeg, and allspice boost your metabolism. Ginger is extremely flavorful, and used in Asian dishes. I do not recommend ginger powder, which is very bland in comparison to its fresh and aromatic alter ego. Fresh ginger is zesty, and it is said to boost your metabolism, and help you lose weight. Why? Two compounds (Gingerols and Capsaicin) boost metabolic rates. Ginger goes well with carrots, chicken, beef, pork, and Asian-themed dishes. Cinnamon is people’s favorite spice. No need for cooking advice here, cinnamon just goes with every dessert. Try it however with beans like garbanzo, and pork and apples. Cumin is my favorite spice. It’s more aromatic than spicy, and pairs fantastically with chicken, lamb, potatoes, and legumes. It is a staple of North African and Latin cuisine. Nutmeg is best with white sauces and dairy products. Even with whole-grain pasta! Buy the nut, and grate it with a microplane grater for the best, most flavorful results. Allspice is used in many cuisines, from Mexican to Chinese. Allspice is kind of like salt. It enhances flavors of dishes. Its aroma is reminiscent of nutmeg, cinnamon and other spices, hence its name. Of course, cooking with spices is not meant to cure or replace a consultation with your physician. But introducing spices to help fight inflammation or boost your metabolism is a fun way to cook, and a step in the right direction.